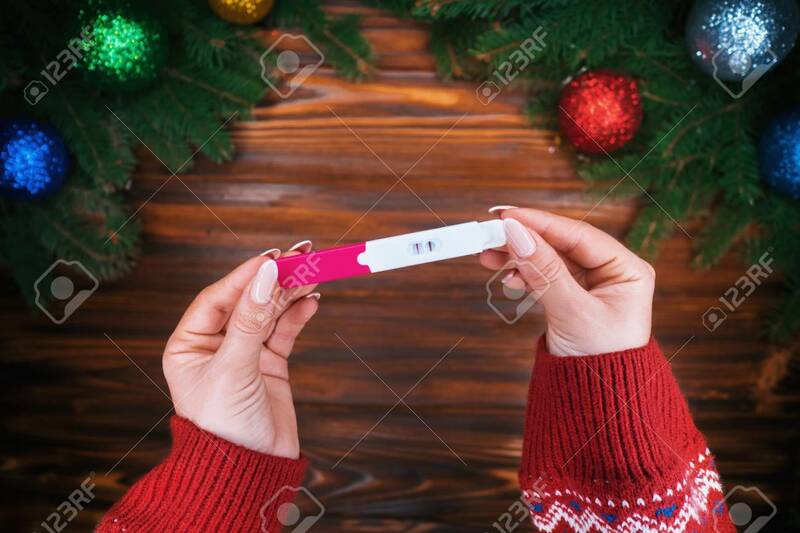 Female Hands Puts Holding Pregnancy Test As Christmas Present. Wooden Table With New Year Decorations. Top Plan View. Festive Mood, Maternity, Expecting Concept Foto Royalty Free, Gravuras, Imagens E Banco De Fotografias. Image 113085722.